The House Committee at Tempe Elks Lodge is always busy running the day-to-day operations of the lodge. The Billiards Committee creates fun and competition in their monthly Pool Tournament. They also hold large mutli-lodge tournaments throughout the year. Watch you email for information about their upcoming events. The Triple Crown Committee hosts the Kentucky Derby, Preakness and Belmont Stakes events in the lodge. Click the Link below to view pictures of the past events. 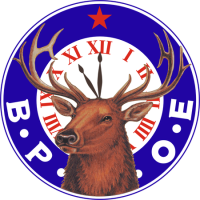 Past Elk Of The Year. Most Valuable Student Scholarships are available from the Elks National Foundation. The Tempe ELks Ladies Group provides assistance to Tempe Elks Lodge through various fundraisers. Please support their projects. See any Trustee for information. The Past Exalted Rulers provide support and guidance to the lodge and especially its new members.